Delores has lots to shout about. But keeps it understated with a modern design. Note the sleek wraparound frame. Take a spin with Delores. It’s got a swivel base and a wide seat, making this sophisticated seat ideal for use in multi-functional rooms. 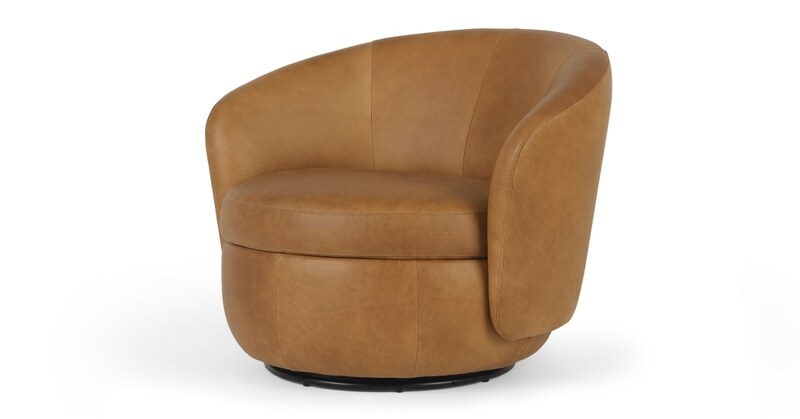 Showcasing its smooth curves in pecan brown leather, Dolores fuses subtlety with a statement look. It's an accent chair with impact.